The red variety comes from Greece, Synonyms are Black Naousa, Csinomavro, Mavro, Mavro Naoussis, Mavro Naoustino, Mavro Xyno, Naouss Mavro, Naoussis Mavro, Naoustiano, Naoystiro Mavro, Negroska Popolka, Niaousa, Niasoustino, Pipoliko, Pipolka, Popoliko, Popolka, Xinogaltso, Xynomavro Bolgar, Xynomavron , Xynomavro Naoussis, Xynomavro of Nousous, Zinomavro and Zynomavro. The synonym Naoussis Mavro and similar (meaning "black people from Naoussa") point to the probable place of origin in Macedonia. It is published in at least three varieties ( Clones ) distinguished themselves ampelographisch to make a difference. According to done in 2013 DNA analysis she is from a supposedly natural cross between Gouais blanc x unknown partner emerged. However, this is based on only 20 DNA markers (see under molecular Genetics ). The one from Pierre Galet assumed close relationship with the varieties Nebbiolo or Pinot Noir So did not confirm. 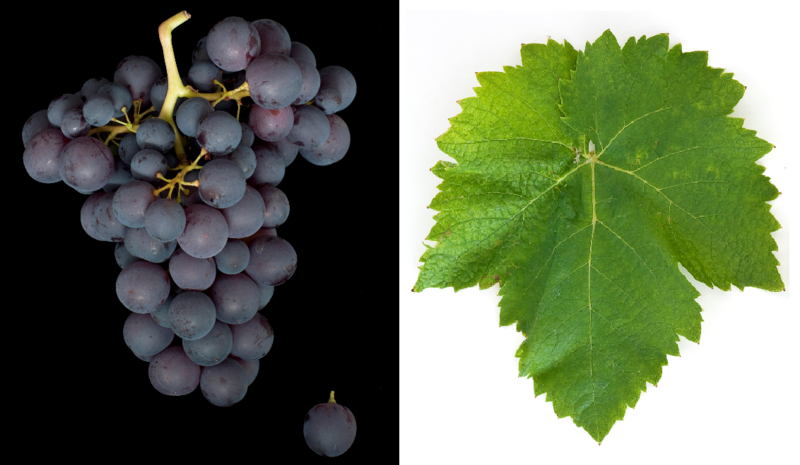 The late-ripening vine is prone to fake mildew and Botrytis, and to a lesser extent powdery mildew. It produces dark-colored, acid-red wines with aging potential, as the name "acid blacks" indicates. During aging or ripening, various aromas of strawberries, plums, tomatoes, olives and dried fruits are developed. The versatile variety is used for the production of red wines, rosé wines and also sparkling wines, which are expanded from dry to sweet. It is especially in Northern Greece in the region Macedonia common where they are in wines of appellations Amynteo. Goumenissa and Naoussa plays a decisive role. In the region Thessaly she is in the appellation Rapsani authorized. The acreage totaled 1,971 hectares in 2010, with a slight downward trend (1,816 hectares in 2000), most of them in Macedonia. This page was last modified at 15 January 2019 at 08:52.